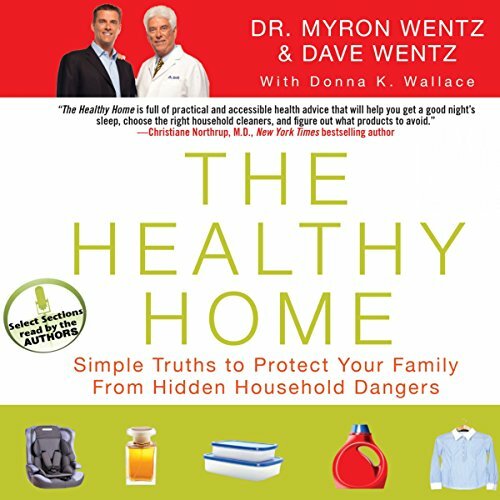 In The Healthy Home, father-and-son team Dr. Myron Wentz and Dave Wentz walk listeners room-by-room through a typical house, pointing out the surprising health risks posed by the everyday products and behaviors of any modern family. You will learn about the negative effects of toxins found throughout your home and receive simple solutions to help minimize exposure without foregoing convenience. From examining the cleanliness of the air in your home versus a city during rush hour, to determining the effects of high-frequency radiation from wireless technology, to revealing the dangerous source of that “new car smell,” The Healthy Home gives people the power to make a long-term impact on their own health and that of their loved ones. It is an invaluable guide that will change how we live in simple yet significant ways.